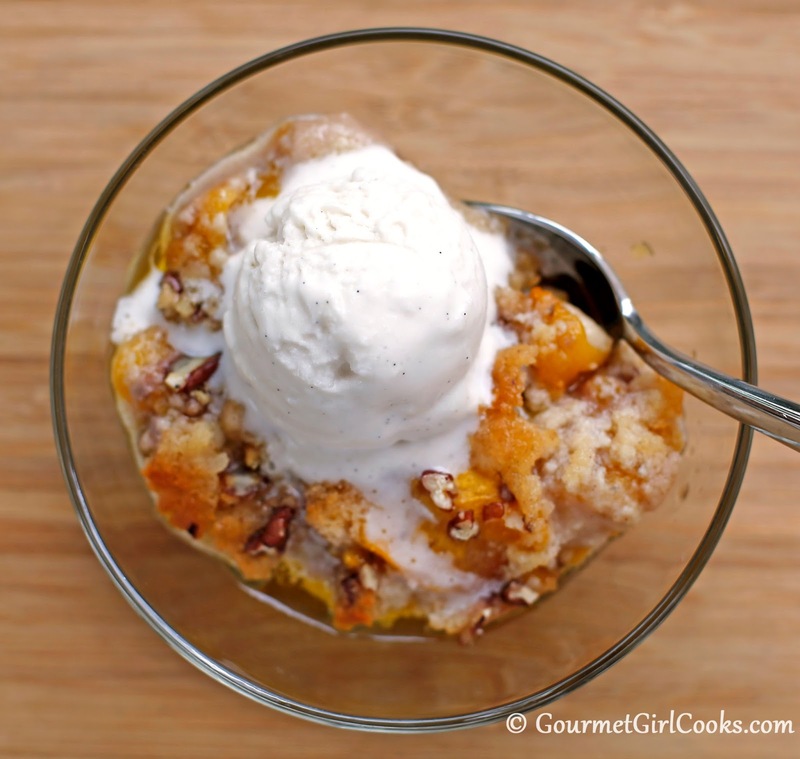 Gourmet Girl Cooks: Old Fashioned Peach Cobbler - NEW RECIPE ALERT!!! Today I'm sharing one of my favorite desserts, particularly at this time of year when the peaches are at their best and naturally sweet, ripe and juicy. I've received requests from a number of you for a grain free peach cobbler recipe...so today I'm unveiling my recipe for my Old Fashioned Peach Cobbler as this month's guest post for Honeyville. The recipe is similar to one that I used to make from Southern Living years ago, but my version is grain and gluten free as well as sugar free. 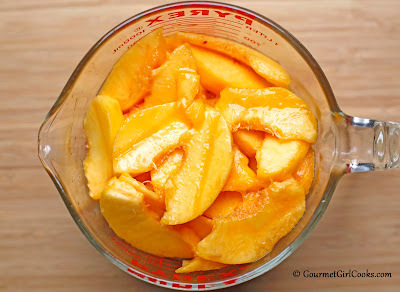 It's unbelievably easy to make and if you use fresh, ripe and juicy sweet peaches...well, there is simply nothing better in the summertime as far as I'm concerned. It's great topped with a scoop of sugar free vanilla ice cream, a dollop of whipped cream or a simple drizzle of heavy cream. 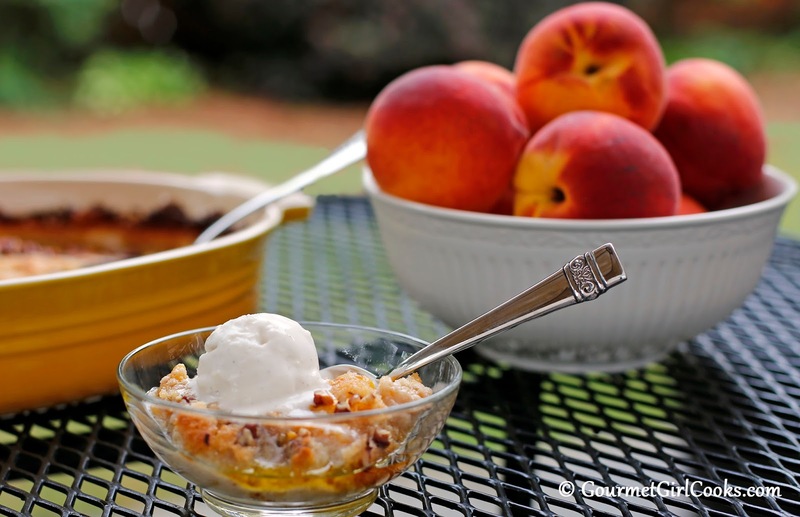 This dessert literally screams "summer" to me. 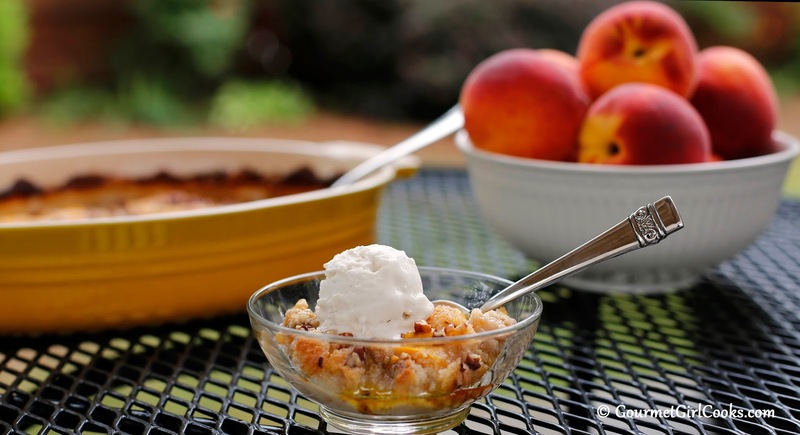 You can use this same recipe to make a variety of other fruit cobblers as well by swapping the peaches for other fruits. I snapped some photos below. I hope you enjoy it as much as I do. You can get to the recipe by clicking here: Old Fashioned Peach Cobbler. Enjoy! 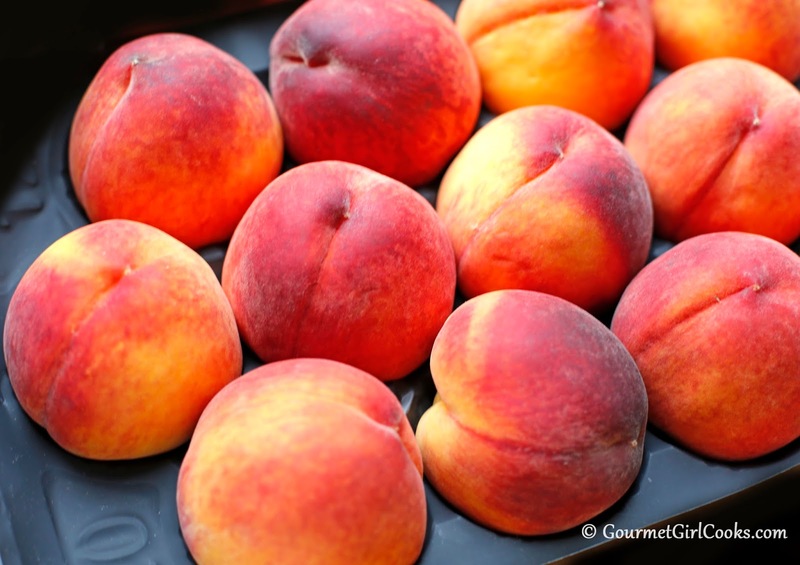 We brought back 14 boxes of delicious peaches from SC Sunday. Boy, they do small good and taste wonderful. I only got 2 boxes for us. Several friends and family got the rest. I need to try this for someone in the family. 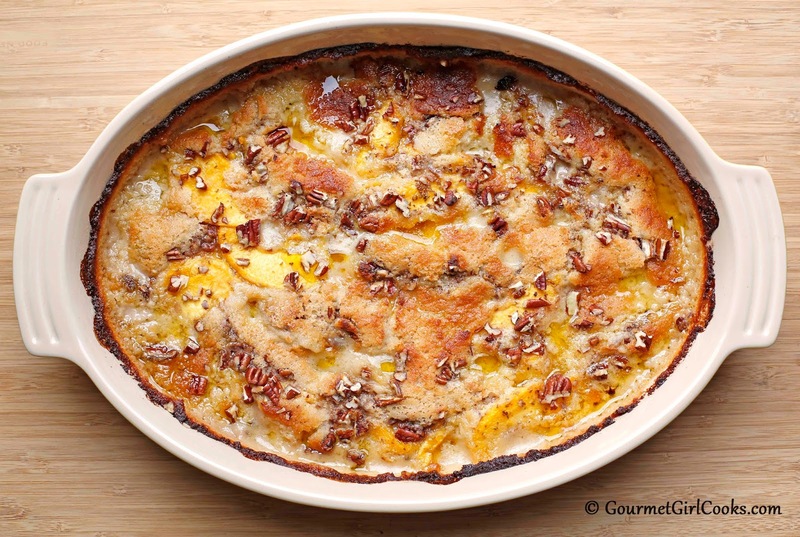 Your peach cobbler looks yummy, but the carb count is way out of my reach. Even more than I eat in one day, given 10 servings. Sorry...I won't be making this. I have made MANY of your recipes, however.